Thru 10/27 Online only. Members get $15 CASHBACK in points when you spend $15 or more on a qualifying clothes purchase only at Sears.com. Valid on merchandise sold by Sears. Maximum $15 in points per member. Points credit to account immediately after transaction and valid for 30 days. We spotted so many items you can score for FREE after points. Shipping is FREE on orders of $35 or more or choose FREE store pickup (where available). 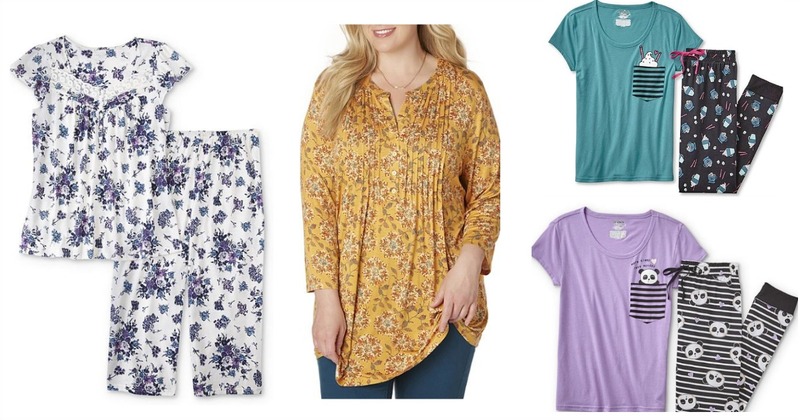 Laura Scott Women’s Pajama Shirt & Capri Pants – Floral $15 (reg. $19.99), FREE after points! Simply Emma Women’s Plus Pintuck Top – Floral $15 (reg. $21.99), FREE after points! Joe Boxer Juniors’ Pajama T-Shirt & Jogger Pants $16 (reg. $19.99), Just $1 after points!